Despite the number of tablets being released this year, the main choices for customers till now was either an iPad or an Android-powered device. But a powerful third option is now available with the BlackBerry PlayBook which runs its own software and has its own store to buy and download apps. 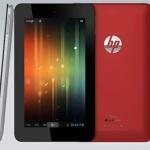 The device has a 7-inch touchscreen plus a 1Ghz dual core processor and will appeal to both corporate and consumer users. 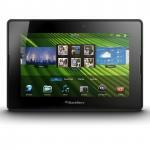 The BlackBerry PlayBook goes on sale in Australia from June 20 and will start at $579 for the 16GB w-fi only model. There will also be 32GB and 64GB wi-fi only models for sale from launch. If you’re already in the BlackBerry family with a handheld device and are looking to enter the tablet market then the PlayBook offers a compelling choice. 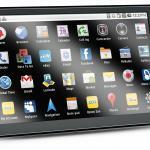 The BlackBerry PlayBook’s 7-inch screen provides a nice size which is big enough for running all kinds of apps and browsing the web and yet small enough to carry around in a large pocket or bag. It is also quite light at just 425g and is 19.4cm wide, 13cm long and 1cm thick so it’s hardly going to be a burden to carry around. The only buttons on the device are the on/off button plus three other media keys which can also double as volume up and down. The main on/off button also acts as the sleep/wake button and being so small and recessed into the top edge of the device, it was hard to press. It took two or three tries to get it to respond and would have been easier to get it work the first time with the tip of a pen. There’s also a 3.5mm headphone jack along with a micro USB port for charging and syncing and a mini HDMI slot to play your videos on full high definition on your TV. Surrounding the screen is a fairly thick black frame with speakers on the left and right of the screen when it is being held in wide landscape mode. Users will find two cameras aboard the PlayBook – a 3-megapixel front camera for video chats and a 5-megapixel rear camera which can capture full high definition. Unfortunately there is no flash. 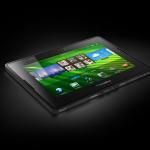 The standout feature of the PlayBook apart from the impressive hardware is the BlackBerry’s very own operating system. Like Apple, Research In Motion – the company behind BlackBerry – has created its own hardware to go with its own software. Android, on the other hand, is made by Google and the open operating system offered to any hardware manufacturer which so far includes Samsung, Motorola, Toshiba, Acer and Asus. The PlayBook hardware and software work together nicely. One of our favourite things about the device were the gesture controls. Sweeping a finger in from the bottom frame up on to the screen is like hitting the home button and puts the application up into an activity bar with the other open apps and then gives the user the option of closing it completely. Sweeping left or right lets PlayBook users move between the different categories of apps whether they are favourite, media and games. Now when we talk about multitasking with a tablet, as many do, none quite illustrate this as dramatically as the PlayBook. It is possible to have games and movies running at the same time. You can actually see them running side-by-side in the activity bar and users can choose to go back to either one instantly. The speed of the device is apparent – apps sprang open in a millisecond and switching between apps took no time at all. Speaking of apps there are plenty to choose from in BlackBerry’s App world which are either designed for the handset or the PlayBook itself. New PlayBook apps are appearing all the time which have been designed by the device’s sharp screen. The screen is clear and bright and offers a great way to watch movies on the go and view pictures. The HDMI Out connection allows users to play their high definition videos on a larger TV screen. Another standout feature of the PlayBook is the browser which gives one of the most computer-like experiences on the device and includes full Flash compatibility. Having a smaller 7-inch 1024 x 600 resolution widescreen didn’t always give us much of a view of a webpage but thankfully it was easy to scroll up and down with the tip of your finger. Turning the device on its side gave us a deeper yet narrower view of the page. This was the only time using the PlayBook that we wished we had a larger screen. As we mentioned, if you’re already a BlackBerry user, the PlayBook can be integrated nicely. But if you’re not you’re going to find some pretty obvious apps like Mail, Contacts and Calendar conspicuous by their absence. When a BlackBerry handheld is wirelessly linked to the PlayBook using BlackBerry Bridge, users are able to view their emails, calendars and list of contacts on the larger PlayBook screen. These are actually streamed from the handheld device and, for security reasons, when the link is severed there are no emails, contacts or calendars left on the PlayBook. They are all retained on the BlackBerry handheld. So what do you do if you don’t own a BlackBerry handset? Research In Motion says users can access their email through the browser along with your contacts and calendar. But not all email can be accessed from the web so these users will miss out and need to access their email using their mobile handset or their computer. 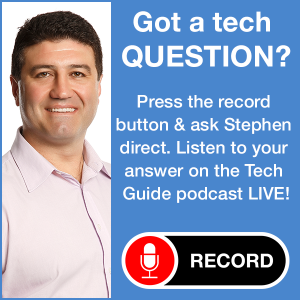 This will be a deal breaker for a lot of users and they will find dedicated email apps which work regardless of the handset they own on the iPad and the many Android tablets on the market. Battery life was impressive and a full charge lasted about a day and a half even with heavy use and viewing videos. 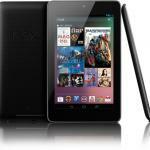 The BlackBerry PlayBook offers an attractive alternative for those in the hunt for a good tablet. It doesn’t have the larger size of the iPad but lacks the number of apps and accessories Apple’s popular device offers. And with its own operating system it also offers a point of difference to the many Android tablets which have more things in common than differentiating features. If you’re already a regular BlackBerry user then the PlayBook may have you at hello because it offers a seamless extension of the handheld experience. This will attract corporate users who want a touchscreen device but still want to maintain the security of their sensitive information. 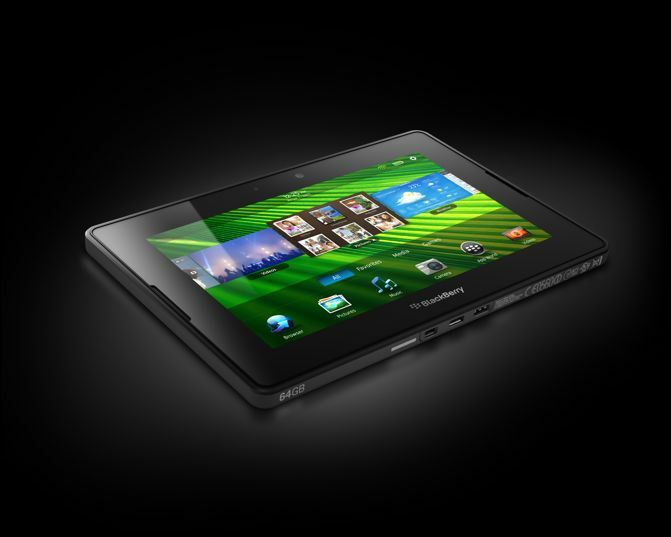 The BlackBerry Playbook is an impressive product that can be enjoyed for work and play no matter where you are.